Last week was so good! We did the long drive in good time and managed to avoid any major hiccups or delays and the weather only got tricky right at the end. We arrived in time for breakfast Tuesday morning and within minutes familiar faces started showing up. 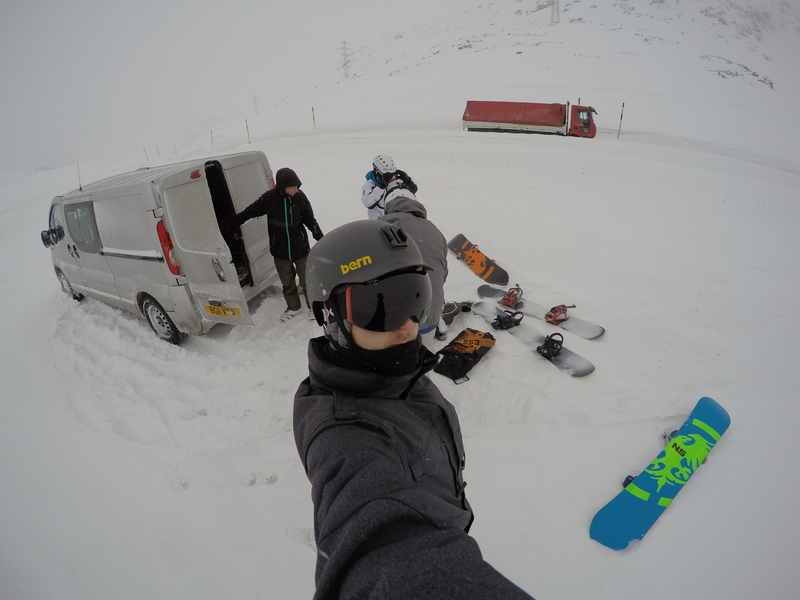 The visibility was not amazing and the wind was strong but we were excited so went out for our first snowkite session. Bernina Pass is an amazing snowkite spot. I knew I had to come back as soon as we left last year! The session didnt go on for too long – a couple of hours or so. The 6m Access was great! The 9m Frenzy was fun too. Not sleeping and the harsh conditions were taking their toll. That afternoon the group grew as those who flied in arrived. Wednesday was meeting day for me so no riding. A shame considering it was bluebird with a nice breeze blowing in the best direction. Life is unfortunately not all about play. The meeting was good and productive which takes the edge off the fact we missed a great day. Thursday was another beautiful day – we headed down to Silvaplana for the first day of racing. The wind was light making it more of a sun bathing day however we got to test some kites and chat which was fun. Early afternoon a little thermal breeze built up and we got to cruise around the frozen lake and do some little jumps. Dinner was getting busier every night! Still pretty tired I headed out for a few beers that evening and some intense table football but left before the full contact musical chairs. Saturday was day two of racing and back down to Silvaplana. Yet another glorious day of chatting whilst waiting for wind and half wishing we had gone snowboarding. The wind came a little later this time but the racers were ready and made the most of it. It was pretty epic watching racing from the start line – something I had never done before. Once racing was over I joined the rest of the crew for a quick session. Prize giving after dinner went down well – some of the best prizes I have seen in a while including everything from Ozone goodies to snowboards and with cash prizes too. There were some very happy people that night. I won Jeremy Jones ultimate splitboard backpack which I was very happy with. Should come in handy very soon! Sunday was quieter with alot of people leaving. Weather was not up to much but after we heard there was wind down in Silvaplana we headed back down there. It was probably the best session I had in the end and we got some cool shots! Was really enjoying the new Frenzy. We headed back early afternoon as half the group had to leave. Typically we woke up Monday to a load of fresh snow – ideal when you are about to drive over a couple of mountain passes. We packed – said our goodbyes and set off on a pretty intense first two hours. The snowtyres and ABS were working overtime. I was seconds away from pulling over and getting the chains out a few times but we managed to keep trucking. After that is was the same old cruise back wishing we were still in the mountains.